Lennay Kekua was the heartbreaking story of the 2012 college football season. She was the young, beautiful girlfriend of Notre Dame linebacker Manti Te'o, but she died that September. The way the narrative went, her death served as an inspiration for what would become a charmed season, both for Te'o and for the Fighting Irish. Only none of it was true. Kekua was a hoax who never existed. 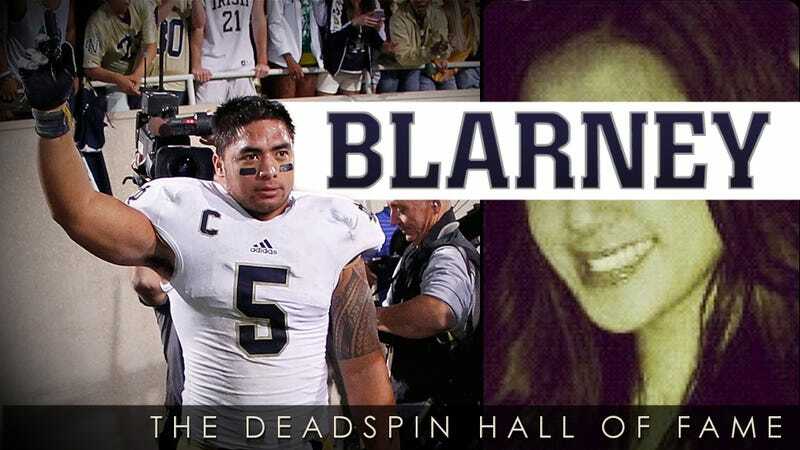 Do you think Manti Te'o's dead girlfriend belongs in the Deadspin Hall of Fame? Cast your vote below. You have until Sunday at 11:59 p.m. (EST) to make your voice heard. Keep in mind that 75 percent is the threshold for induction.